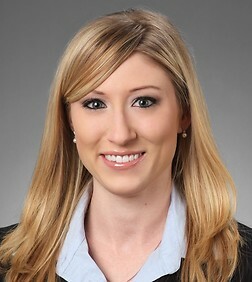 Melanie Hamilton is an associate in the Labor and Employment Practice Group in the firm's Orange County office. Melanie represents employers in all facets of employment-related litigation matters, including matters involving allegations of harassment, discrimination, retaliation, wrongful termination, breach of contract, and defamation. A significant portion of her practice is devoted to defending complex wage and hour class actions and representative actions, including claims for overtime pay, meal and rest period violations, misclassification, unlawful time rounding, and noncompliant pay stubs. Melanie has substantial experience defending against claims arising under the California Fair Employment and Housing Act, the Age Discrimination in Employment Act, the California Labor Code, and state, federal and local wage and hour laws. Melanie works with clients in a variety of industries, including retail, manufacturing, and healthcare. She has represented employers in both state and federal court, as well as before administrative agencies such as the California Division of Labor Standards Enforcement and the California Department of Fair Employment and Housing. Melanie handles all aspects of the litigation process, from case inception through trial. She has jury trial experience, successfully defending harassment and discrimination claims. She also has experience in arbitration as well as before the California Court of Appeal, obtaining several favorable decisions. In addition to civil litigation matters, Melanie also provides strategic advice to employers on a wide range of employment issues, including wage and hour compliance, employee classification, employee discipline and termination, personnel policies and employee handbooks, and OSHA matters. Dickson v. Burke Williams, Inc., 234 Cal. App. 4th 1307 (2015).